Microneedling is a safe, tried-and-true approach to depigmentation, smoothing furrow and frown lines, reducing crow’s feet, diminishing fine lines, lifting sagging cheeks, tightening enlarged pores, smoothing fine lines and wrinkles, treating acne and acne scars. Regeneration by needling activates the wound healing cascade to kick-start percutaneous collagen induction following the microneedling treatment. The treatment itself creates thousands of microchannels via needle penetration that allows greater penetration of topical solutions and sets platelet-induced healing in motion. Supply moisture, topical nutrients and antioxidants. Slow Coast Spa utilizes and offers for sale the Innovative Skincare line for post treatment and maintenance skin care. 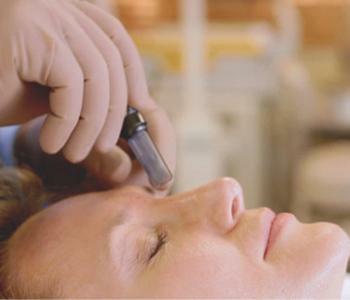 Allow 60 minutes for each microneedling treatment. Treatments can be repeated approximately every 2 weeks. Depending on the indication, the recommended number of treatments may vary from 5-10 teratments.